Visiting Dcn. Dodger’s Blog, as I usually do. I came across this Wonderful Post about St. Mary Magdalene. And the Image he has for her is one of the better that I have seen. She is sadly usually portrayed seductively or crying. And this truly bothers me. 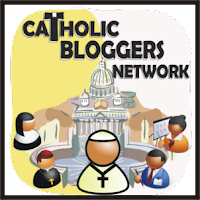 Allow me to explain why with TONS of help from Catholic.net en Español. Maria Magdalena appears various times throughout the Gospels. She holds the first place among the women that accompanied Jesus (Matthew 27:56, Mark 15:47, Luke 8:2); she is present during the Passion (Mark 15:40) and at the Foot of the Cross with Jesus’ and Our Mother, Mary (John 19:25); she witnesses the Burial of Our Lord (Mark 15:47); she arrives before Peter and the rest to the Tomb on Easter Morning (John 20: 1-2); she is the First to whom Our Resurrected Lord appears (Matthew 28:1-10, Mark 16:9, John 20:14), even though she does not recognize Him (John 20:15); she is sent to be Apostle to the Apostles (John 20:18). And Both Mark and Luke tell us that Jesus had driven “seven demons” from her (Mark 16:9, Luke 8:2). Now, there’s Mary of Bethany, Lazarus and Martha’s Sister. This Mary appears at the resurrection of her Brother (John 11); anoints the Lord with the perfumed oil and dries His feet with her hair (John 11:2, 12:3); sits and listens to the Lord and takes the Better Part while her Sister works (Luke 10:38-42). Finally, there’s a Third Character. The Sinful Woman that bathes the Lord’s feet with her Tears and Wiped them with her hair in Simon the Pharisee’s House (Luke 7: 36-50). You may argue that these three women are the SAME Mary Magdalene. Mary of Bethany and the Sinful Woman both anointed the Lord’s feet (Although, they ARE Different situations). Then there’s the seven demons, which could be a Grave Sin. Luke did mention Mary Magdalene (Luke 8: 1-2) in the following chapter after speaking of the Sinful Woman (Luke 7:36-50). And then, Luke also speaks of Mary of Bethany later on (Luke 10). So, one may be tempted to say that these women are all the Same Woman. There’s no reason to associate John’s narrative to Luke’s. There exist very different details. For example, in Luke’s narrative, the Sinful Woman is in Simon the Pharisee’s House. There is an explicit reference to this woman’s Sins. But Matthew, Mark and John speak of the Anointing in A Simon’s house (John does not mention the owner of the house, just that Martha served and that Lazarus was present), they speak of the monetary value of the Perfumed Oil, without ONCE mentioning the SINS of the woman. Only John offers us the woman’s name with the Perfumed Oil. Now you know why I have NO IMAGE of Sta. Maria Magdalena. Because I could not find one the “Fit” the Sta. Maria Magdalena I grew up with. She was a Strong Apostle named Maria Magdalena. She was never confused with the Sinful Woman. She was and is the Apostle of the Apostles. Very astute observation. I have noticed some of the similarities, although, I have to admit that I always thought that there were four distinct Marys in the Gospel accounts that you mentioned. I never thought of Martha’s sister as being Mary Magdalene though. Seems that the Lady who came to the sepulcher with Mary Magdalene or the other Mary, as Matthew 27 and 28 tell us, was the mother of Jesus. Like you have said, she was certainly the first that Jesus mentions in many places, and was the first one that He told of many things to come. Many even claim that Mary Magdalene was the woman at the well, (though I don’t believe so) and even if she was…that would have made her the very first Christian evangelist also, as she went back and told all about him to her whole town. This reminds me so much of a Guest Blogger on another friends site just a day ago I think. The lady writing is also a Catholic, but, was perturbed by a recent Vatican comment of how they were taking many more precautions in screening their Priest etc…for the protection of the children, but, in the same sentence pretty much put allowing women to become a priest just as big a sin as those men who had been taking liberties with the young boys …or at least that’s how she took the comments. You know me, I’m not Catholic so I really wasn’t there when the original statement was made. But, after reading her blog entry on it, I could only think that, the Catholic church, and “Most” organized Christian churches for that matter, (Though I know that Paul writes to us about Church Office positions) must have forgotten about the Debrahs, and all the other God chosen, and willingly used for the Glory of God throughout the Bible. Hulda is the first and utmost who comes to mind. After Josiah became king, or, maybe ten years after, they found the book of the Lord in the unused temple, as many generations of kings before him had forgotten about the things of God…to the point that they couldn’t even understand the Torah. So they sent to apparently the only one who still had a clue…and that was Hulda. 13Go ye, enquire of the LORD for me, and for the people, and for all Judah, concerning the words of this book that is found: for great is the wrath of the LORD that is kindled against us, because our fathers have not hearkened unto the words of this book, to do according unto all that which is written concerning us. I’m not being biased, or not trying to anyway, just calling it as I see it. The thing is, the moment we DO decide to put ourselves first, just for a bit, in an area that means a lot to us, then all of a sudden we are Demonized! Double Standards have and will sadly continue to exist until we can all see Each Other as Creatures of God. Both Men and Women. As for the Praising, I know what you mean, we can get caught up in the Dailies so easily. I can anyway.